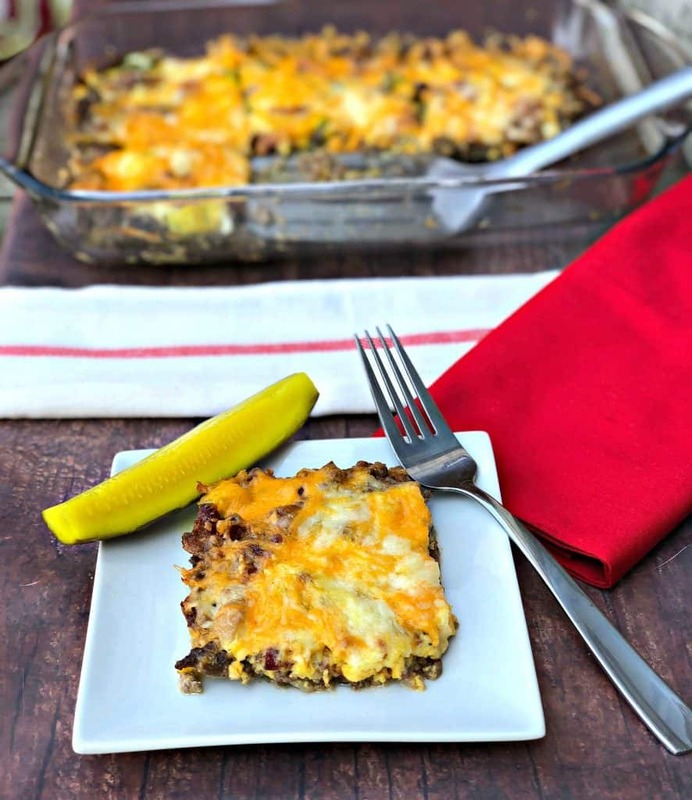 Easy Keto Low-Carb Bacon Cheeseburger Casserole is a simple ground beef recipe that resembles a hamburger pie! With only 2 grams of carbs, this dish is loaded up with creamy, melted cheese, cream cheese, mustard, Worcestershire sauce for burger flavor. Perfect meal prep dish that can be served for breakfast! 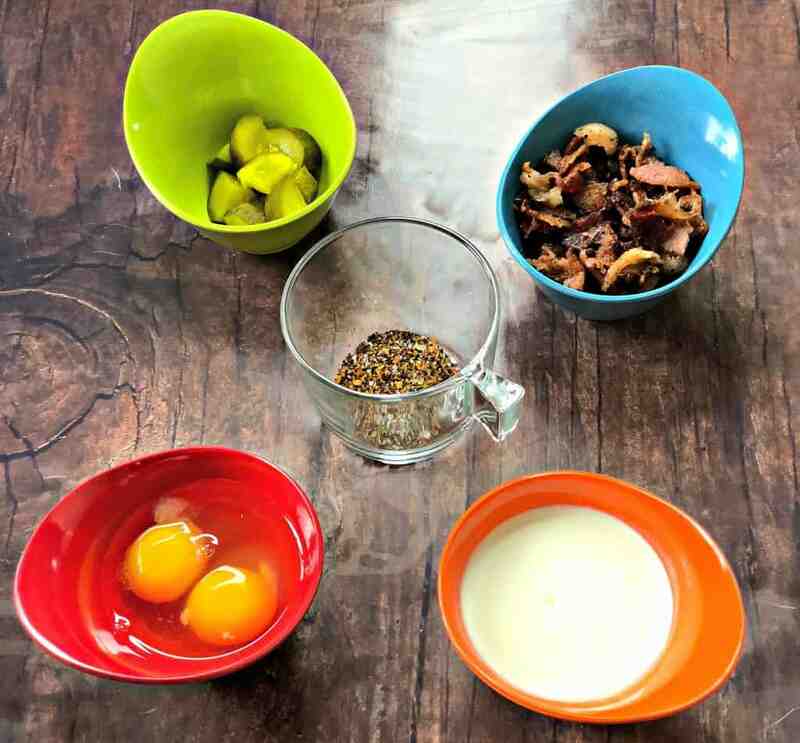 Here is another savory keto recipe that I hope you all will enjoy! I am 7 days into my latest keto stint and I feel amazing! I recently returned from a vacation in Greece. I had such a great time! I spent a lot of the trip binging on pasta, bread with olive oil, and local wine. Heck yeah and YUM! 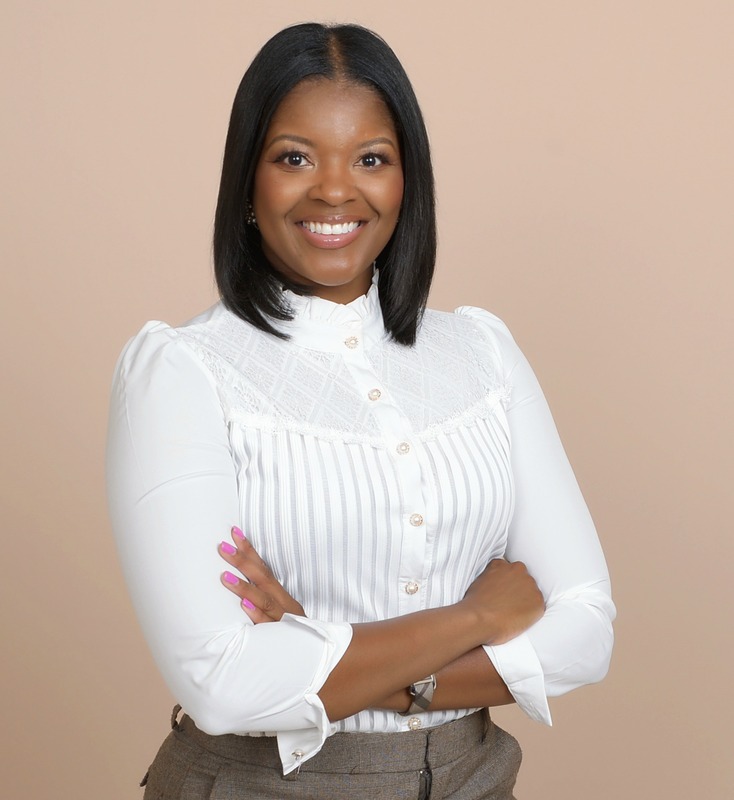 BUT….when I returned from my vacation I felt extremely sluggish and the lower pit of my stomach had a constant ache. I knew this was directly tied to all of the food binges I had been enjoying. I decided to give my body a break and focus on keto friendly meals. 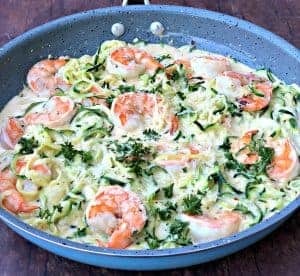 Last week I made Keto Shrimp Alfredo Zucchini Noodles. These were so yum and the perfect meal to send me into ketosis. I snacked on my Keto Peanut Butter Cookies each day as a treat. These cookies use Swerve sweetener and I am absolutely obsessed! Be sure to check out the recipe! Burgers are one of my favorite keto meals because they are so easily accessible. Most restaurants offer lettuce wrapped burgers. In fact, when I am strapped for time, I will often hit up the drive-through at Freddies and order a lettuce wrapped bacon cheeseburger. It is truly a lifesaver for me with keto. I like to consider myself a grill master. I LOVE to grill! One of the mandatory ingredients is Worcestershire sauce. I also love to use a good burger seasoning. McCormick’s Grill Mates Burger Seasoning and Weber Burger Seasoning are my favorites. These ingredients will add so much flavor! The casserole will taste a lot more like a burger. 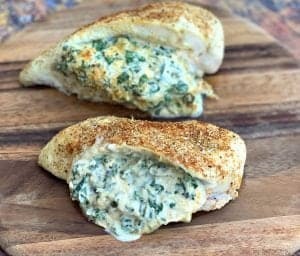 Here are more Keto Dinner Recipes: Keto Spinach and Cheese Stuffed Chicken and Keto Philly Cheesesteak Casserole. This dish is perfect for meal prep and leftovers. That is the main reason why I love casseroles. You throw a bunch of ingredients in a pan, bake, and then chill. Here is the Rectangular Bake Dish, 8″ x 11″ used in this recipe. 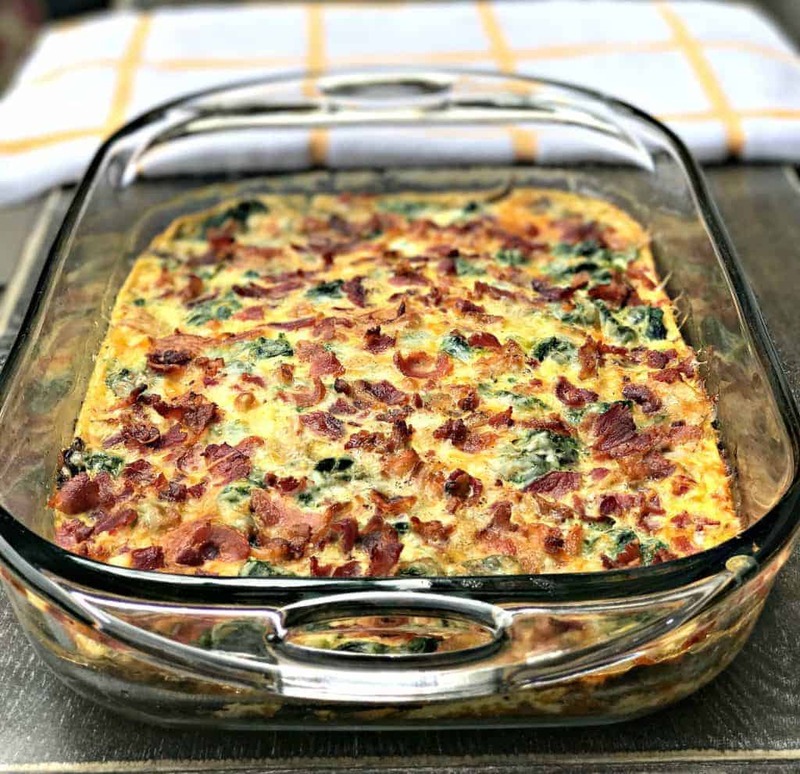 You may also love my Keto Low-Carb Bacon, Egg, Spinach Breakfast Casserole. Check out the recipe here! I use Butcher Box ground beef in this recipe because it is 100% grass-fed beef. Grass-fed beef is much leaner and has less total fat. It also has more conjugated linoleic acid (CLA), which is linked to reductions in heart disease and cancer. 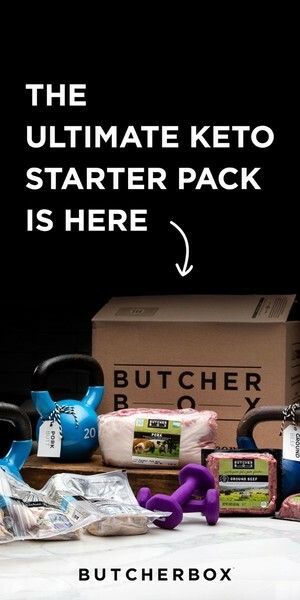 You can read my Butcher Box Review and Unboxing here. 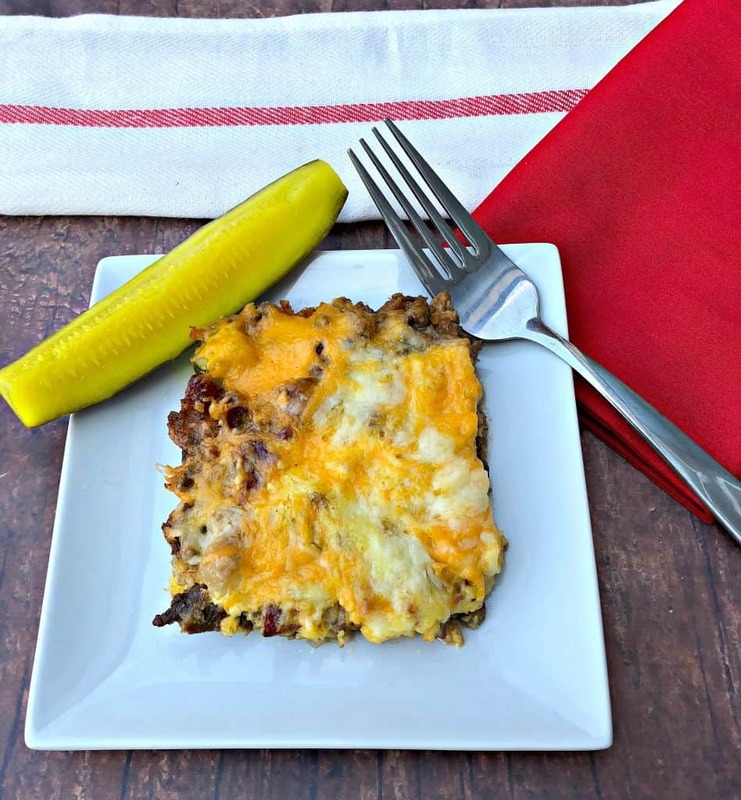 Easy Keto Low-Carb Bacon Cheeseburger Casserole is a simple ground beef recipe that resembles a hamburger pie! With only 2 grams of carbs, this dish is loaded up with creamy, melted cheese, cream cheese mustard, worcestershire sauce for burger flavor. You can even serve this dish for breakfast. 3 slices Butcher Box bacon cooked and crumbled, add more if you like! 1 kosher pickle, cut into pieces Add more pickles if you are a pickle lover! Place the Butcher Box ground beef in a skillet over medium-high heat. Add the garlic, onions, burger seasoning, and salt and pepper to taste.. Using a spatula, break the ground beef into chunks. Add the worcestershire sauce and cream cheese. 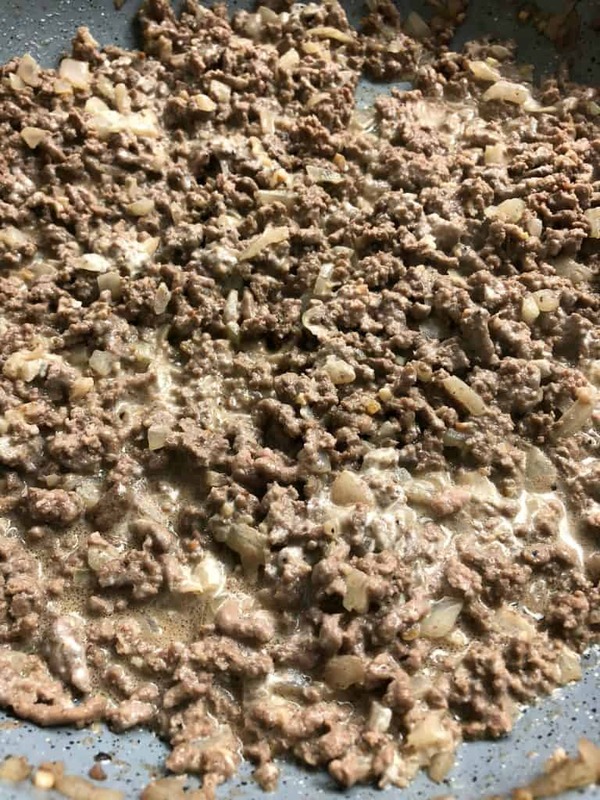 Cook until the ground beef is no longer pink and the cream cheese has melted. 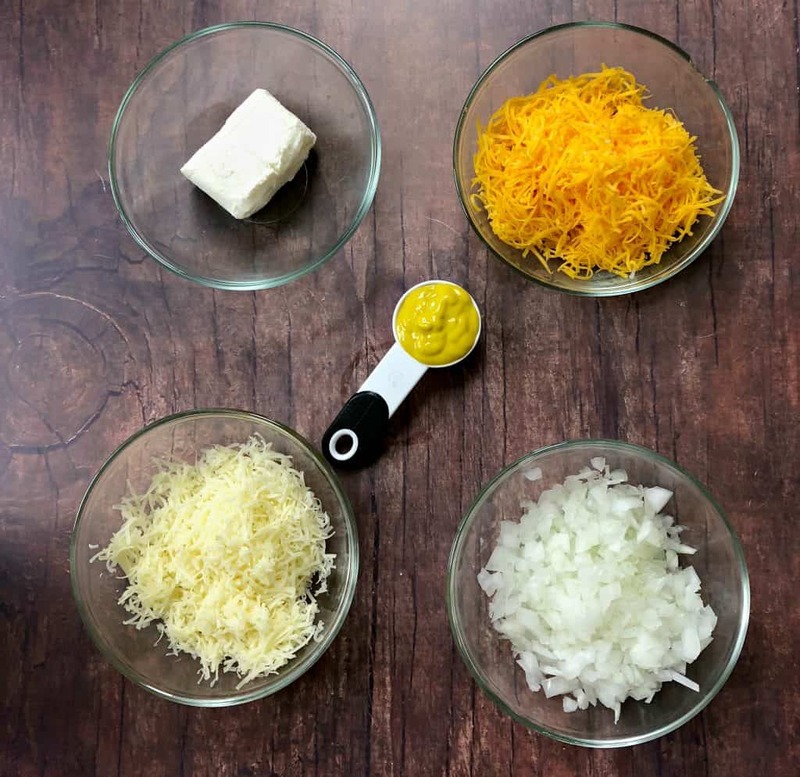 In a medium bowl, combine the eggs, 1/2 cup shredded cheddar cheese, 1/2 cup shredded white cheddar cheese, heavy cream, and mustard. Spray an 8 x 11 or 9x9 baking dish (I used 8 x11) with oil or cooking spray. Pour the ground beef mixture into the dish. Sprinkle the Butcher Box bacon and sliced pickles throughout. Drizzle the liquid mixture on top. Sprinkle the remaining 1/2 cup shredded cheddar and 1/2 cup shredded white cheddar cheese on top. Bake for 15-20 minutes or until the cheese begins to bubble. Mine was ready around 17. Feel free to add your favorite keto friendly burger toppings. Mushrooms and guac will work well. If you do not use Butcher Box beef and your beef produces excess oil, drain the oil prior to baking. Snag your 14 Day Keto Meal Plan here. was looking for an easy dinner, found this reeipe. OMG… totally loved it. I ended up using mozzarella cheese for half since i din’t have white cheddar and added chopped fresh mushrooms to the meat while cooking… this is going in my book for future dinners and already shared it with two friends. thanks so much.. love love loved it. What’s the protein amount in this ? All of the macros are documented at the top of the post. Seriously the best keto recipe I have tried so far! I didn’t have heavy whipping cream so I used sour cream instead and it was still so beyond delicious! My husband even loved it and he’s not doing the keto thing! It’s so unbelievably easy too!! I’m so glad you enjoyed it! And yay to the husband enjoying it too! Thank you for coming up with this recipe! It was so much better than it looked!! I did have to alter because I was missing a few items. I didn’t have kosher pickles and oddly enough I didn’t have mustard or onions either but the overall core of the recipe was spot on and inspired other recipes!! Thanks again! I’m so glad you enjoyed it! I hope you try more recipes. Has anyone made this ahead of time to freeze and if so how long and what temperature did you set it? My whole family loves this! I do leave out the pickles as we do not love them in food. I absolutely love it when they love the food that I need to be eating so that I am not having to prepare two different meals. The first time I made it, I made it all at one time and took it to my parent’s house for dinner. They really enjoyed it too. 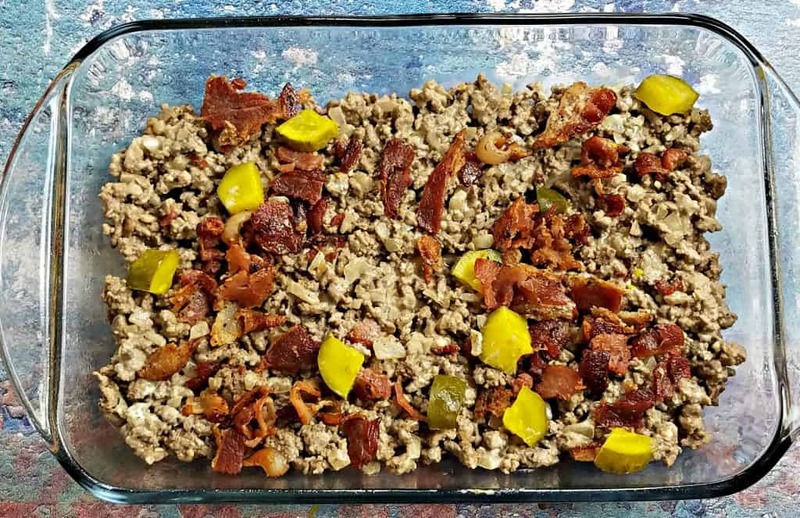 The second time I made it, I cooked the meat mixture the night before and then put in the fridge as the next day a child had basketball and I knew I would not have a lot of time after work to get dinner finished. This worked beautifully as well. Thank you so much!! You’re welcome! I love your tips on making it ahead! I don’t know if it makes a difference in the end result, but in the recipe the Worcestershire sauce us added with the beef, and in the video its added with the egg/cream mixture. Sorry if anyone else commented about this already. It’s in the oven now! This was delicious! The only difference I made was that I didn’t add pickles or liquid mustard, only because I didn’t have either on hand. I used ground mustard instead, and it still turned out great! Thanks for the recipe! 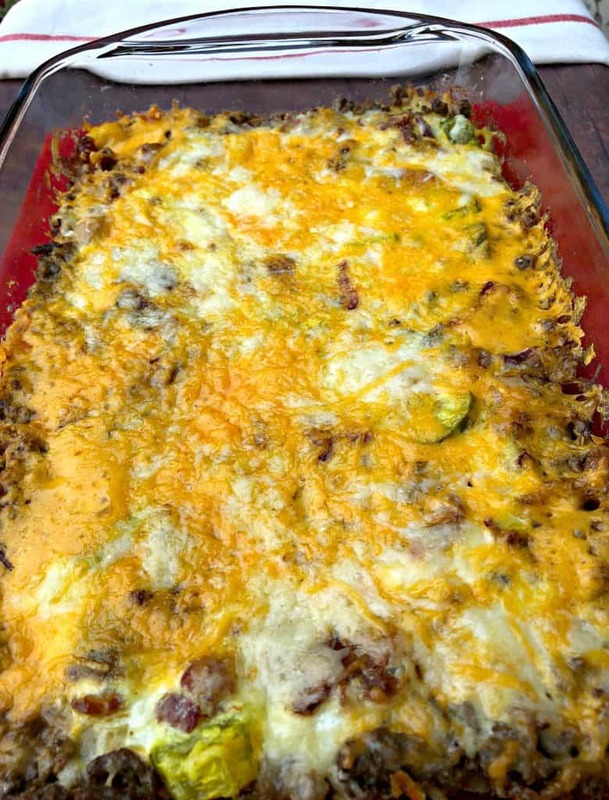 This casserole sounds amazing, my kids would definitely love it if I served this up for dinner! 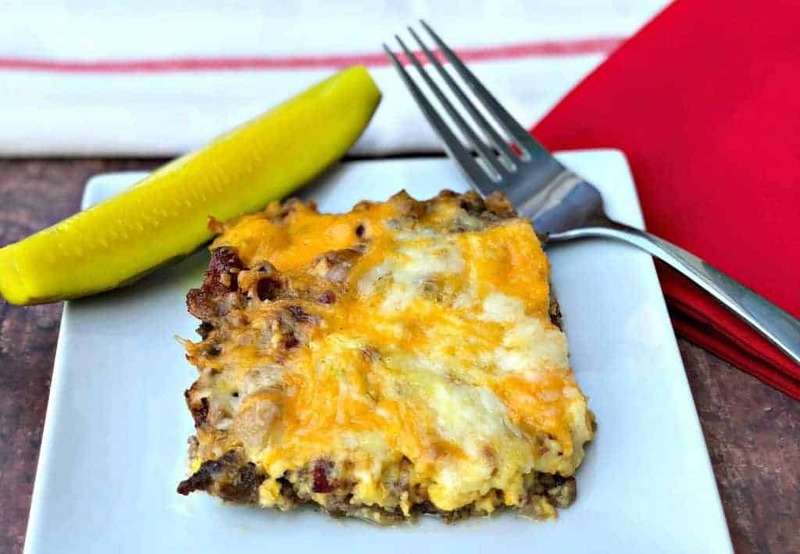 We are huge on cheeseburger casseroles and I love that yours is low carb ! Looks delicious ! What an interesting recipe! Sounds easy enough! Great flavors! This sounds like a delicious easy meal to make. And I do like that it’s low carb. I’m currently bad on keto and have been looking for more ideas! 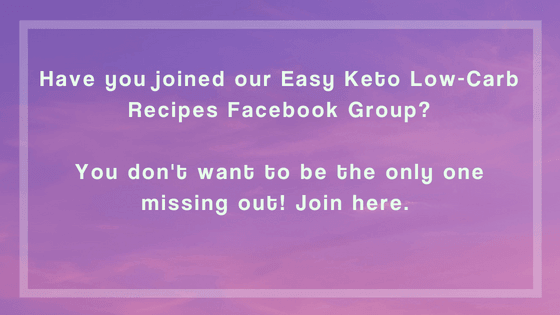 I’ve seen something like this awhile back but it was missing the bacon – I mean, really, who does keto without bacon! This recipe is on my must try list now! 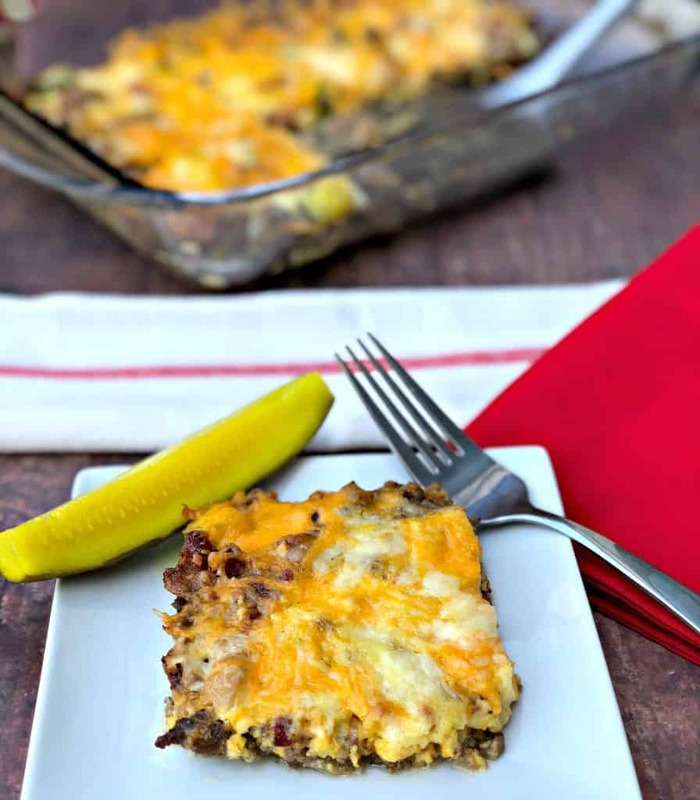 great idea to make this popular dish low carb. Great flavors! Do you know the nutrition facts on this? I saw 2 grams of carbs and 392 calories. Yes, they are posted at the top of the blog post. I have figured this on different apps and it comes to 5-6 net carbs. Am I doing something wrong? You’re liking using different ingredients and/or a different app. I use MyFitnessPal. Go with your macros calculation. Mine is provided as a courtesy, but you should always calculate your own. Omg. This is SO GOOD. I only had a cheddar gruyere mix cheese from Trader Joe’s on hand for the white cheese And forgot bacon and pickles but still turned out. I will be repeating this one many times! It turned out great. This one is going in the recipe book. I’m diabetic and am always looking for good low carb recipes. I just made this and it was absolutely delicious. My whole family loved it! This is amazing! I did not have any hamburger seasoning so I just used salt and pepper. I also did not put pickles in mine. It was still amazing! Thanks for sharing. I will be making this again and again. And sharing it! Casserole was a thumbs-up from the whole family!! Served on bed of shredded lettuce and chopped onions and tomatoes on top!! It’s a KEEPER!! That sounds great! I’m glad the family enjoyed it! People can use to enter the ingredients themselves and calculate it. You can even do it by hand and the results are the same. Unless the organic beef you are using is drastically less calories than the organic beef at Wal-Mart or Krogers supermarkets these calculations never change. The only way to get close to the 392 per serving is to actually up the servings to 8. If you could provide a actual nutrition list it would greatly help in making sure the calculations are correct as two cups of cheese and 1lb of meat alone per serving for six is over 350 calories and that doesn’t include the heavy whipping cream, bacon or eggs. I love the recipe but for people going off of the calculations given if they are trying to keep a macro count this will fail them unless they do the work themselves to calculate it out. Hi there. Thanks for your feedback! I document on my disclaimer page (https://www.staysnatched.com/disclaimer/) that I use MyFitnessPal for calcs, and that these are my calcs. No one should EVER use my calculation as their own. 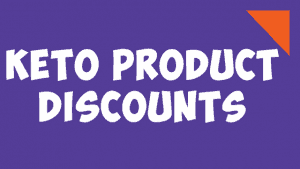 You should always calculate your own macros in accordance to the brands that you use. If you send me an email at StaySnatched.com I would happy to send you a screenshot from MyFitnessPal, but again, this probably won’t be helpful because you should calculate your own. I post it on my recipes as a ballpark. You are citing a difference of 70 calories, which is completely reasonable and appears materially accurate. Awesome, that makes complete sense and thank you again for the recipes they are great and I truly enjoy eating them all! Thank you so much for understanding! 🙂 I’m glad you love the recipes. Let me know if you ever have ideas on what I should try to put together next! Awesome recipe and real good. I did some things different. 1: once I cooked the meat I mixed my bacon right away. 3: I actually got lettuce to replace the bun and put a tad bit of mayo on them and included fresh onion and tomato (similar to In and Outs protein style burger. I love that you made it your own. Thank you so much for sharing your tips and modifications. I hope you try more recipes! Any chance I coukd get the serving sixe in grams? I weigh my food. Thank you! It was delicious! Hi! Your welcome. I don’t weigh my servings. You should be able to plug the portion sizes of all of the ingredients into an online converter to determine this, you could also use a food scale. Yes. In the ingredients section I mention cooked and crumbled bacon. I just made this and it is delicious!!!! Love the taste with the pickles. Do you drain the meat once cooked or leave any liquid in the mixture? If you gave excess liquid, drain it. Your recipe does not show you draining the grease from the beef. Without draining, my casserole was very oily and did not sit well in my stomach. The flavor was wonderful but next time I will thoroughly drain the beef before adding the other ingredients. Hi there. The video didn’t show me draining the beef, because I didn’t. I use Butcher Box grass-fed beef, as noted and recommended in the recipe, which does not produce excess oil. While cooking, it is important to use your judgment while following a recipe and make changes that will suit you best. I am sorry this happened to you, and happy you have found an alternative method. Jalapenos and mushrooms sound so good! I recently made it with smoked cheddar and loved it! I should include these as recipe tips! The eggs are to help bind the casserole. If you omit them it will fall apart and will be more like a ground beef skillet meal. I made it without the eggs. It was delicious! Cooked just as recipe said. Was absolutely a family favorite. Will definitely be having this again. I’m so glad your family enjoyed it! 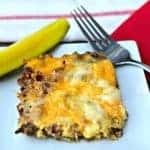 I am trying to do keto this sounds yummy reminds me of bisquick cheeseburger pie. I know the eggs are for binding but does it taste eggy? I’m not an egg fan and don’t want to make it if I won’t like it. Trying to make this a complete meal with no sides, so I added 1 diced zucchini, 1 cup green beans (1″ pieces) and 1 dozen sliced brown mushrooms. I sautéed this mix and added to the meat before it went in the casserole dish. I also added about 1/2 cup of chopped green onions to the cheese topping. Absolutely Fantastic, this one is a keeper. Hi, I screwed up and didn’t read all the instructions (going to blame it on post holiday fatigue – I know better.). I added all the liquid to the meat, stirred and poured it all into the casserole. It is currently baking. Any idea how much this error will alter the finished product? I will provide feed back after we eat it. So bummed, was so looking forward to trying this!! Did the eggs scramble when you added it the meat? I’ve never done this, so I’m not sure how this will turn out. I have to triple this recipe every time I make it! My kids will eat the whole pan lol! It’s a fan-favorite, and we have even made lettuce wraps with it too. Lettuce wraps sound great! I’m happy you enjoy it. This recipe is the BOMB! 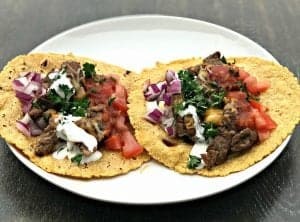 I’ve only done Keto for 5 weeks now and was looking for a new recipe and so glad I came across this one! Even my husband (who is a meat and potatoes man) said he liked it! I plated mine with a side of lettuce, ranch dressing and black olives. My supper was delightful! 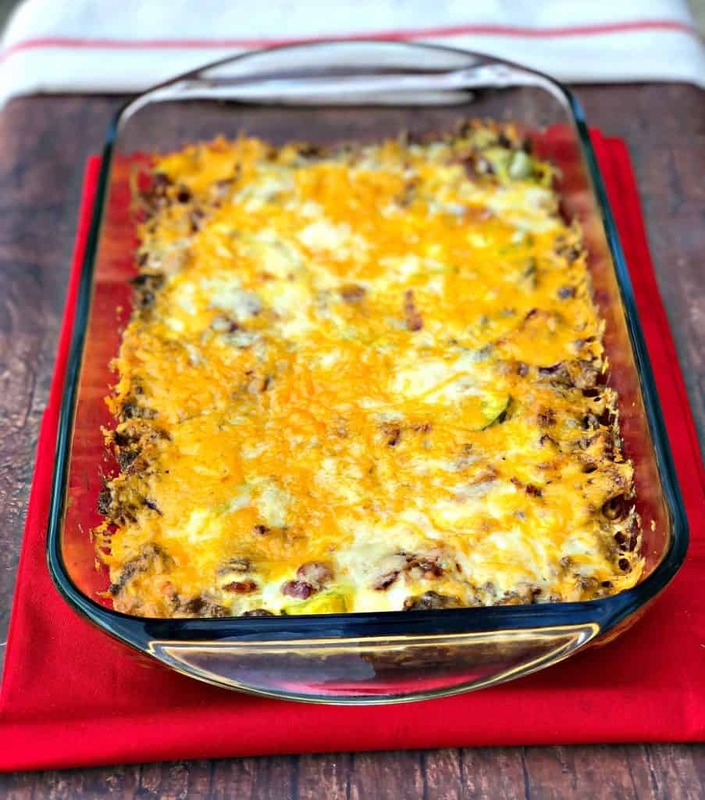 I tweaked the recipe with mushrooms, 4 strips of crumbled, crispy baked bacon, and small dollops of sour cream, used a cup of cheddar and a cup of mozzarella and added it to the egg. Then, being from WI….I scattered some cheese curds over the top! Before I finished my serving I put a teaspoon of mild Pico de Gallo on it and it was delish! This recipe has a lot of possibilities you can play around with. I’m looking forward to finding out! Thank you. I love all of your additions! I’m so happy you enjoyed the recipe and I hope you try more of my recipes. I just made this and yummy! I did not use bacon (as it is frozen in my freezer). I added diced pickles and jalapeños to the cooking beef. I then added hot sauce to the egg mix to add more spice. I will be putting a portion of it in a individual oven safe dish and cracking an egg on it in the morning for breakfast. Then for dinner heating a portion and tossing it in a salad with a homemade dressing. Sounds great! You are welcome. Thanks for sharing your tips. There are not enough stars to convey how good this is! I made it 2 nights in a row! Everyone loved it! Thanks so much! I’m so happy you enjoyed it! I hope you try more recipes. I’m new to Keto. I’ve heard so much about it, I wanted to try. I’ve had success in the past with HcG, and Atkins, but keeping the weight off has always been my issue. This was my first dish with the Keto diet, and it was delicious. 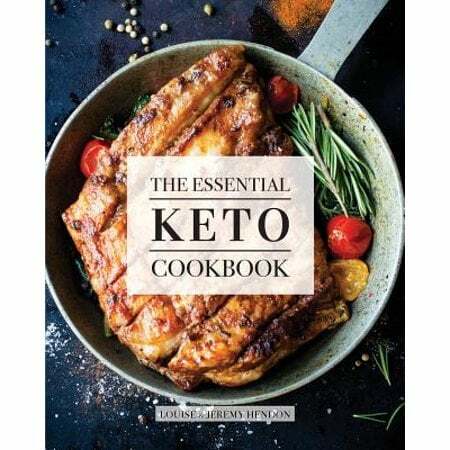 I’ve purchase a few Keto cookbooks, and am excited about seeing my progress. If I can eat like this, there is no doubt in my mind, that I can lose the 10-15 lbs that I’d like to lose. The challenge for me, iwill be keeping the weight off. So glad you enjoyed the recipe. Good luck! Do you make any sides with this? It pairs nicely with a side salad or on a bed of lettuce and veggies. I just discovered this recipe and can’t wait to make it. It sounds so delicious. I am just starting out on my keto journey and looking for low carb meals like this. Thank you! I made this for dinner tonight, and my kids and I LOVED IT! This was easily one of the best new dinners we’ve tried in recent memory, and will be going on my meal plan rotation! Thank you for the great recipe. You’re welcome! I hope you try more recipes! I love that you added spinach! Thank you for sharing this delicious recipe! I am not much of a cook, so my dear husband has been doing most of the cooking since we started keto a couple of weeks ago. I was looking for an easy recipe so I could cook my sweetie a nice dinner, and this was wonderful. He made nummy noises and said I will definitely be making this again! Yayyyyy! Thank you again! This is a great recipe! 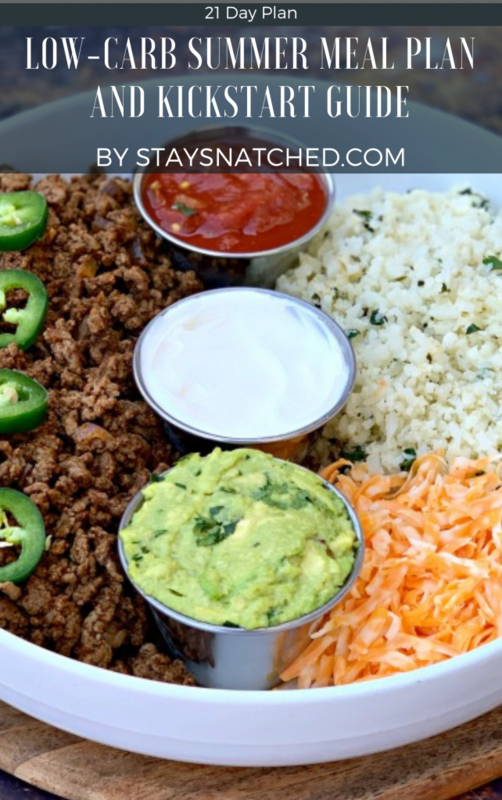 I used ground turkey since I had it on hand and it was still plenty flavorful! I omitted the mustard and pickles as I do not care for either. 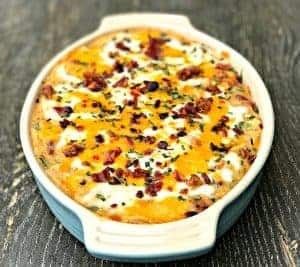 This is a perfect keto dish, very tasty and filling. Saved some for tomorrow and froze the rest, will see how it tastes once thawed. It’s a bit of a heavy dish so I recommend a salad on the side to help out a bit. Will make again! Love it!! Really needing recipes like this, when I can portion them out like this it really helps. When I’m working it’s really hard to eat sometimes. But this is definitely something I will be making ahead of time and pre-packing. I do however have one question about this recipe. 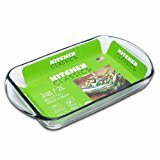 Are used a 8×8 baking dish are the serving sizes the same? Would it still be six portions for that size? Thanks again for such an amazing dish! If you can get 6 portions out of a dish that size, then yes. I never use a dish that size for casseroles, so I’m unsure if it will work the exact same. Made this for dinner last night, and it was incredibly delish!! The mustard & pickles added the perfect cheese-buger-y touch. Added some chopped green onions on top after it was done baking. Adding this to my favorites! Delicious! Will make again, love the pickles in it! I seen the macros at the top. Is that for the entire casserole or what is the serving size and how many servings per recipe? It’s per serving. The serving size is noted in the recipe card with the ingredients. I made this in a pioneer woman casserole dish I had on hand —- I didn’t have a Pyrex glass casserole dish in another size besides 9×13 and that seemed too large. After 20 mins it was not done — the mixture was still runny. Do you think this is because the casserole dish wasn’t glass? And it probably was a little smaller than 9×9, too — would this cause it to cook slower because it was not spread out enough. Just wondering what I did wrong…. I recommend preparing it exactly as I suggest. I test my recipes fully and provide instructions on how to prepare them without failure. I have not tested this recipe using the different style of dish you used. If you use the sizing and style I recommend, the recipe works. This was delicious!!!!! Even after the slight baking dish hiccup! If I double this recipe do I need to double the cooking time? Thank you!!! The cooking time will need to be adjusted. You can do this by spot checking for fully melted cheese. 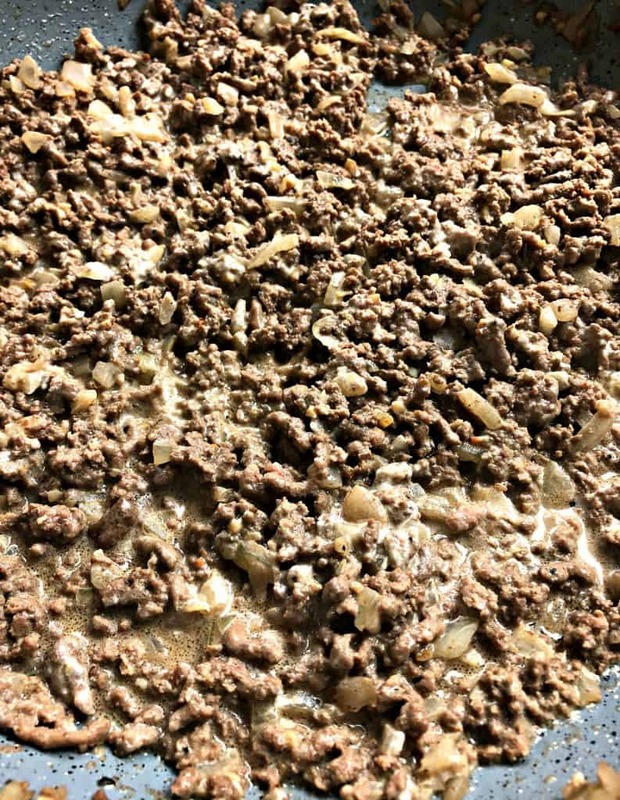 You have fully cooked the ground beef prior to placing it in the oven, so there’s no risk there. You will need to exercise judgment. Ok thanks! It was delicious — now I need to make double portions so we don’t run out LOL! haha yes! It’s a family favorite you will want to have on hand. Brandi, these recipes look great! It’s awesome to see so many delicious recipes in one place.